When it comes to transportation, modern generation of hauling is something unimaginable. The towing cars and trailers move the modern world’s most massive vehicles quite easily and efficiently. Braking, turning and even parking becomes more intricate with car hauler trailers and towing the vehicles is even more complicated. In general, towing itself is a difficult task and knowing about it is crucial. The structure of modern day trailers structures is not like those from the period of the Second World War, but is quite bigger and larger with advanced setups. The fact is that as engineers come up with such creations, they also discover clever and powerful vehicles that can help to tow them. Each of them poses their own challenges, involving monumental weight and proportions. Let us see the bulkiest structures that are difficult to tow. Among all, vehicles are the most common. Of all other voluminous structures, concrete pumps and vehicles are among the most difficult to haul. The trailers meant for carrying them are classified under the category of multi-axle or specialised axle, made for towing purposes. Isn't it wonderful, vehicles on top of a vehicle? There are different varieties of vehicles and when they need to be transported, trailers are the only way to go. Trailers or car haulers must be selected based on the size of the vehicles and their type. They help to transport the vehicles with ease and proper safety via highways. Some of the trailer models may come with advanced and special features to ensure safety and ease of towing. They can be differentiated in terms of the material used for manufacturing the equipment trailers. Besides the metal ramp and surface, some of the models have surfaces with treads to reduce slipping, and increased movement during the transportation. There are also enclosed trailers available that look like moving rooms or boxes. These car trailer models help to protect as well as cover the contents properly. 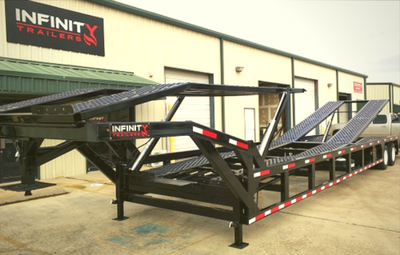 The standard flatbed trailers are used for transporting heavy items and equipment such as crates and machinery. 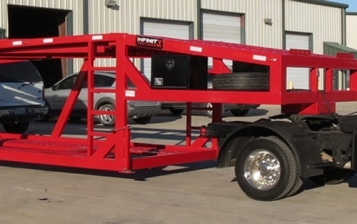 Some of the flatbed trailers are known to have the capacity to easily carry a car or any other vehicle. 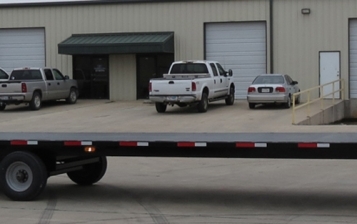 Most of the times, these flatbed trailers are used to take vehicles to the repair shop and they can take more than one vehicle at a time. Trailers are the beasts of the highway that take care of the cars which need to be transported to their destination. For more interesting facts on trailers, keep visiting our blog space.